Central puts $200m into Grab | Daily Express Online, Sabah, Malaysia. BANGKOK: Thailand’s biggest shopping mall owner, the Central Group, will pour $200 million into the Singapore ride-hailing and food delivery firm Grab, the companies said Thursday, as they look to reel in customers now buying everything from food to holidays online. The investment means Central, which is also a major hotelier and supermarket chain whose business interests stretch into Europe, will acquire a non-controlling stake in Grab’s Thai entity. Tos Chirathivat, CEO of Central Group and scion of the kingdom’s second richest family with a fortune estimated by Forbes of $21 billion, said the big buy-in will give his company’s stores and hotels access to customers wherever they are. “It (Grab) has built a new platform which consists of food delivery, payment and other services,” he said. He did not reveal how much of Grab’s Thai unit he bought with the $200 million. Grab is a market leader in the Southeast Asian ride app industry, having bought out US-based Uber’s regional business last year in return for a stake. Grab CEO and co-founder Anthony Tan said the Central deal brings together Thailand’s “local retail champion” with the “local technology champion”, and would cement the service’s position as Thailand’s “everyday app”. Grab has big ambitions, aiming to hook the region’s consumers on its app and enter joint ventures with major retail players. Southeast Asia’s ride-hailing market is expected to reach $20 billion by 2025, according to research by Google and Temasek. 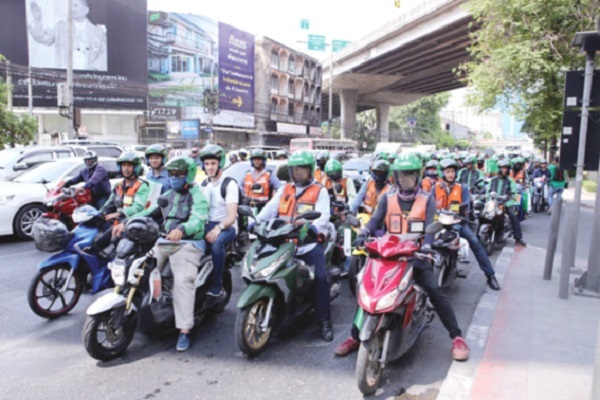 Indonesia’s Go-Jek is also jostling for a larger regional role, launching a trial version of its taxi app in Singapore late last year as part of a $500 million expansion plan.